Cupping Cakes will be at Bearss Groves next Saturday, October 27th from 1pm – 5pm. Thanks goes out to Generation Food Truck for organizing the event! 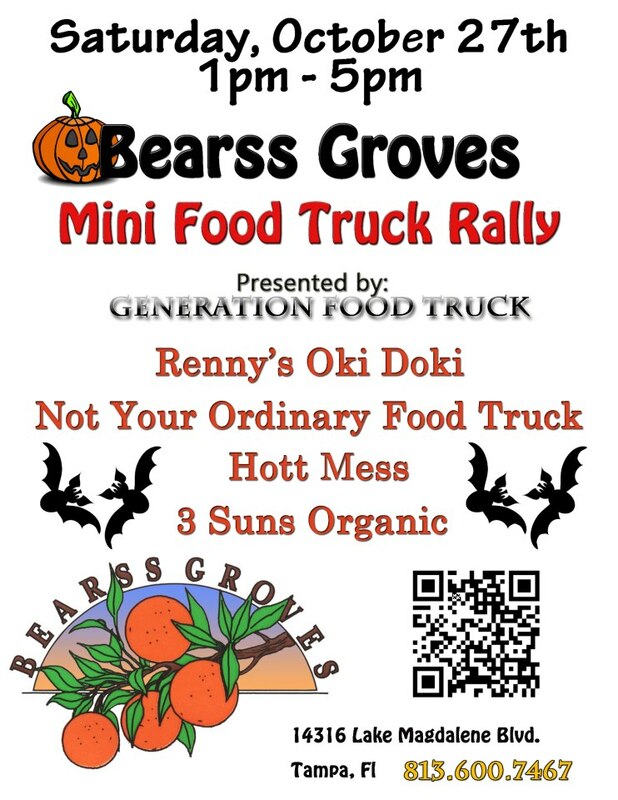 Come out and enjoy food from Renny’s Oki Doki, Not Your Ordinary Food Truck, Hott Mess and 3 Suns Organic. Then polish off all of that deliciousness with a cupcake! We will have some Halloween themed cupcakes and of course some flavors using the amazing produce from Bearss Groves.